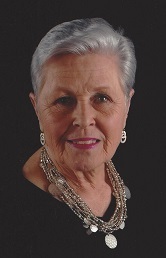 Kathryn R. Beard of HURST -- Kathryn Riddle Beard, 88, passed away on September 24, 2018 in Bedford, Texas. FUNERAL: 11 a.m., Friday, September 28 at First United Methodist Church in Hurst. Visitation will be Thursday, September 27 from 6 to 8 p.m. at Bluebonnet Funeral Home in Colleyville. MEMORIALS: In lieu of flowers the family requests donations be made to the First United Methodist Church in Hurst or the Methodist Childrens' home in Waco. She was born in Ovalo, Texas October 29, 1929 to H.L. and Bessie Burford Riddle. Kathryn fell in love with James Beard at church camp when she as only 12 years old and married him November 26, 1949. They were life-long best friends and constant companions. She was a secretary at Stonegate Elementary in Hurst and an executive assistant to the Dean of Instruction at TCJC until she retired in 1985. She is adored by her 3 children, Jan Evans (J.C.), Judy Foreman (Norman), and Jim, Jr. (Debbie). She was a doting and fun-loving grandmother to eight grandchildren and to 15 great-grandchildren. All her immediate family members live in the DFW area. Her sister, Margaret Shilling (Roy), and brother, Herschel Riddle, as well as numerous nieces and nephews survive her also. Kathryn loved to cook and bake. Her specialties were seasonal breads, and banana pudding. She also loved to crochet and made a special blanket and afghan for each of the grand and great grandchildren. Her smile and laughter will always be remembered. She and James traveled extensively throughout the US and abroad. Their favorite trips were to Gustaad and Israel. Upon retiring they lived on a private lake in Grand Saline, and then were full-time RVers for five years before returning to live in Bedford.